(18) Photos Printable Brochure Apply For Credit Schedule A Test Drive Text Us About This Vehicle! We are Central Kentucky's premiere independent pre-owned car dealership. 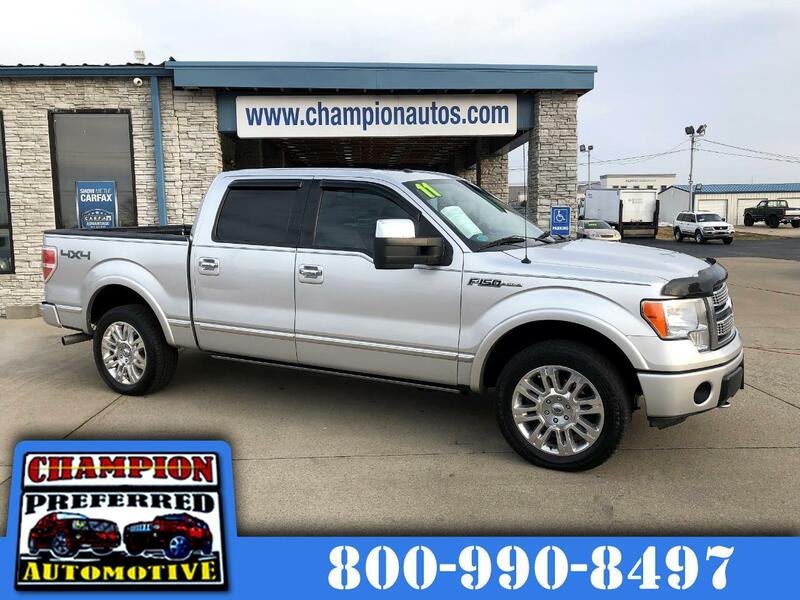 Champion Preferred Automotive has been independently owned and operated since 1987! We take pride in hand selecting only the finest gently used vehicles on the market. All of our vehicles are fully serviced and inspected when they arrive. Give us the opportunity to earn your business. Visit Our Online Inventory 24/7 at WWW.CHAMPIONAUTOS.COM or Call Us to schedule a Test Drive Today @ (859)-269-4141! Get Pre-Approved in Seconds through our online website credit application! Message: Thought you might be interested in this 2011 Ford F-150.